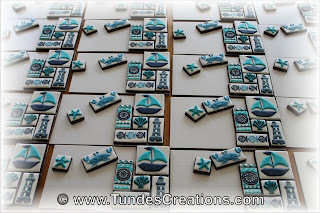 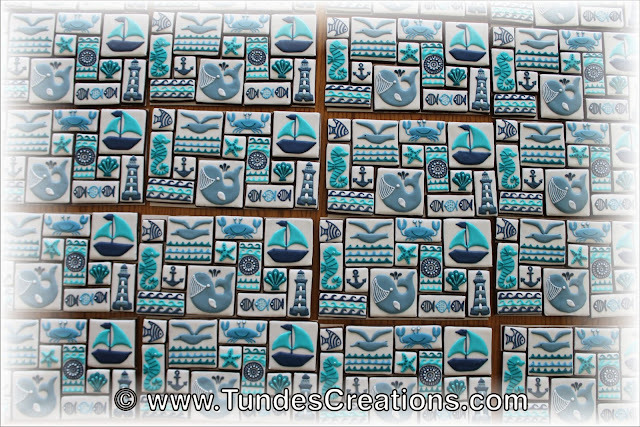 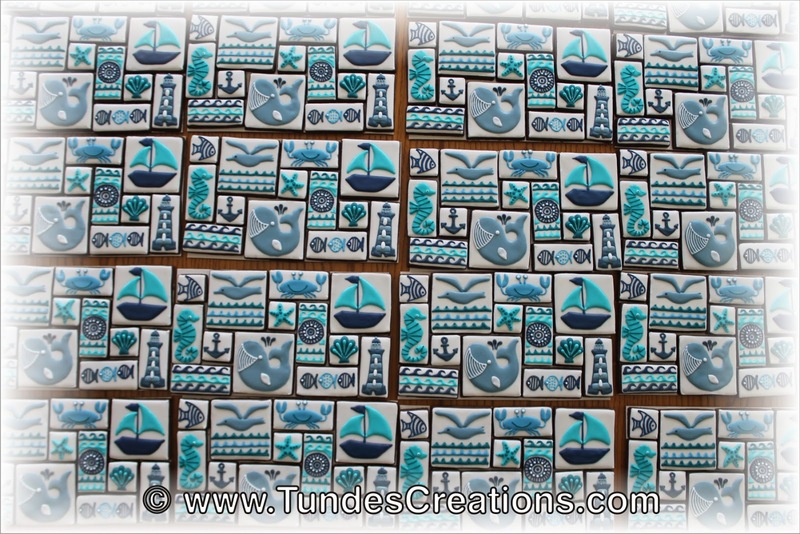 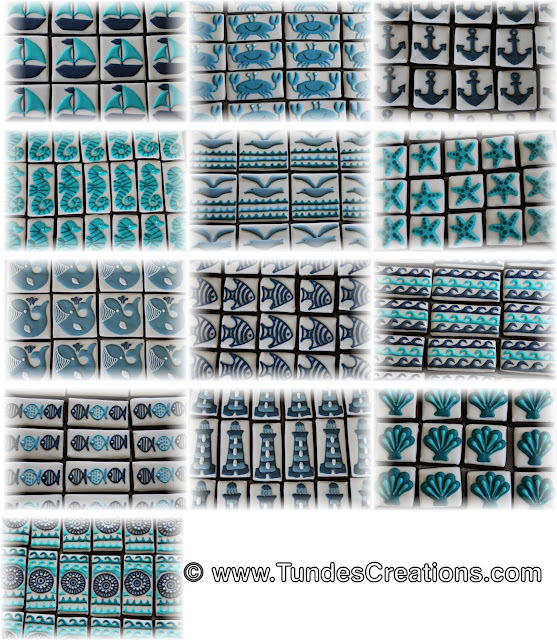 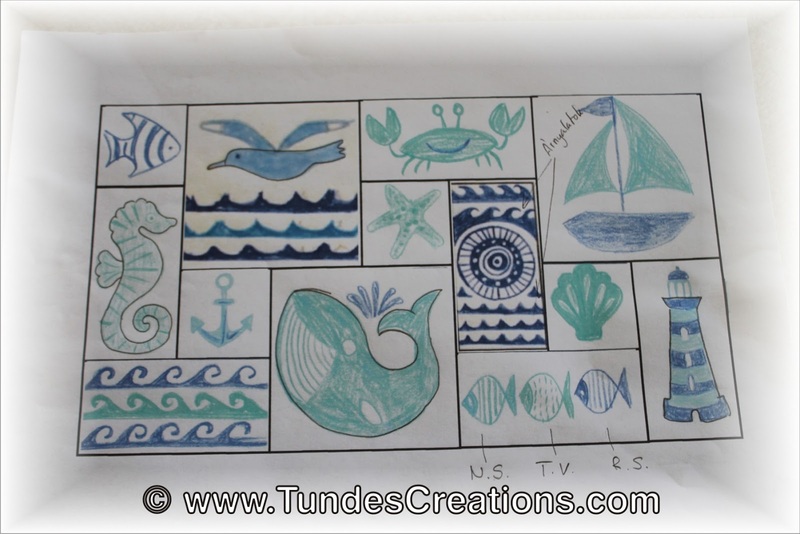 My friend asked me to create sea-themed puzzle cookies made of squares and rectangles. 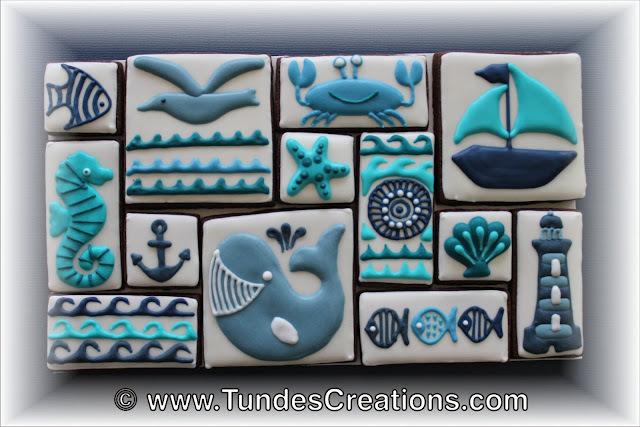 He probably saw some work of Yankee Girl Yummies, she is the queen of this kind of puzzle cookies, visit her page to see some amazing creations. I knew I will need to ship these puzzle cookies, so the first step of designing was to find the right box. A 9x6 inch box seemed to be a good choice for this project. 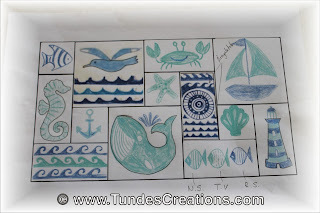 Then I planned a design made of big squares, small squares and rectangles. 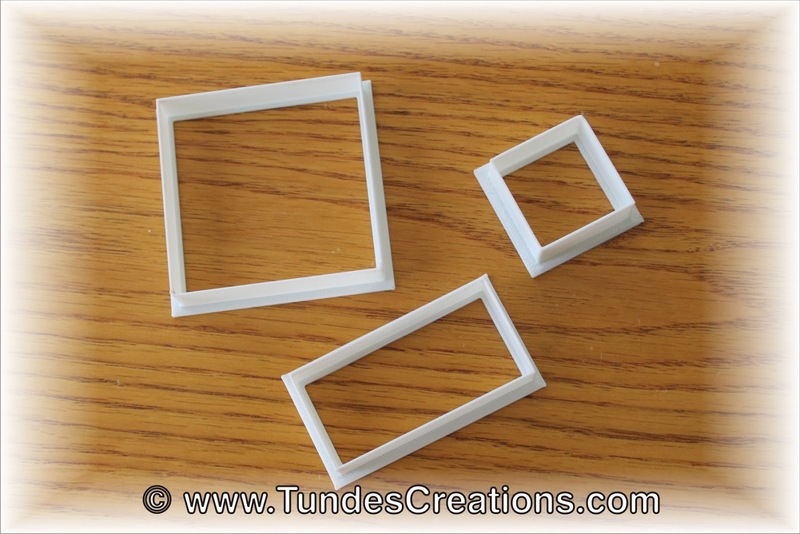 This is only three shape to bake, but gives a great variation when it comes to layout. 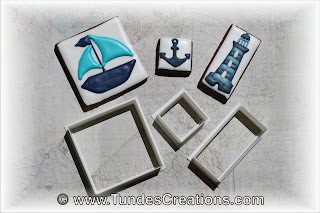 First I planned to hand cut the cookies (just squares and rectangles, how hard can it get?). 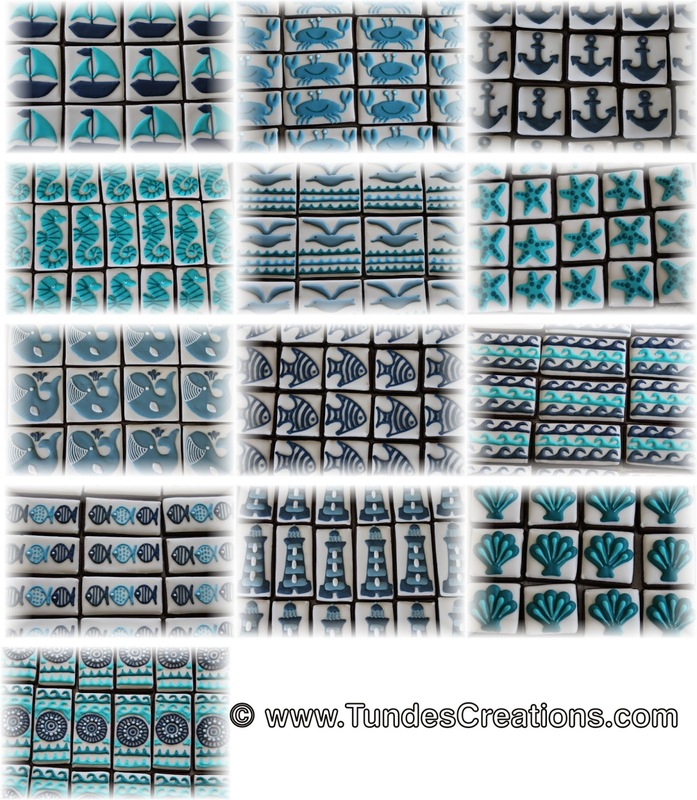 It would have been a great option if I had to make only one set. 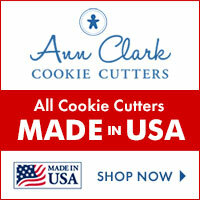 But with 20 sets, I decided to ask my friends at Cookie Cutter Kingdom to create these cutters for me. 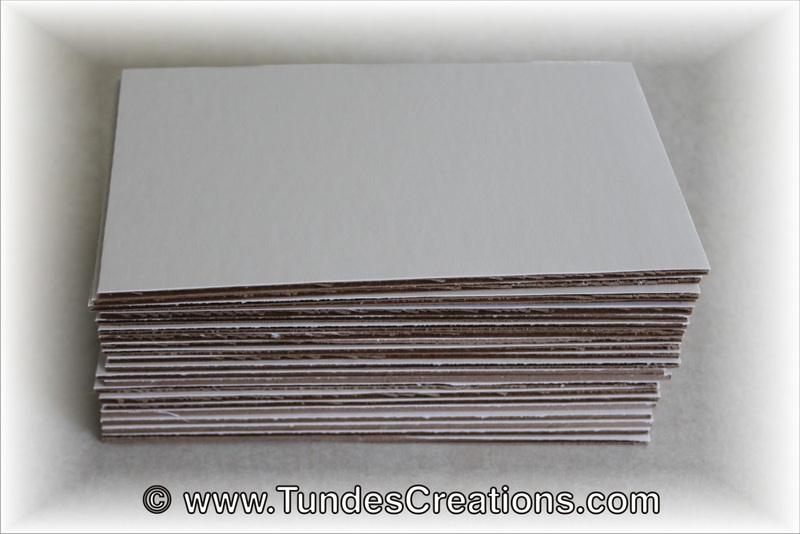 You can order them from their site as well and save with coupon code "friendsoftunde". The cutters made it so much easier for me to fit these puzzles into their boxes. 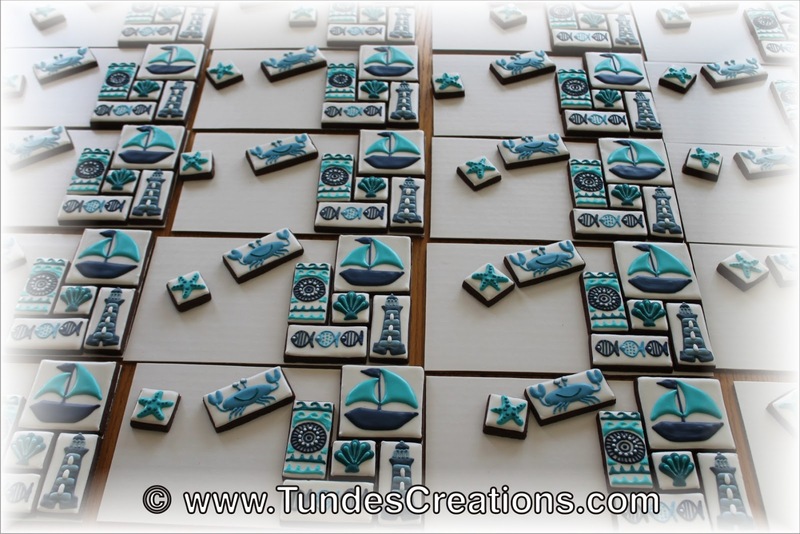 I still had a big challenge: how to ship these cookies so they stay as a puzzle and prevent breakage. First I cut some cake boards to the size of the boxes. 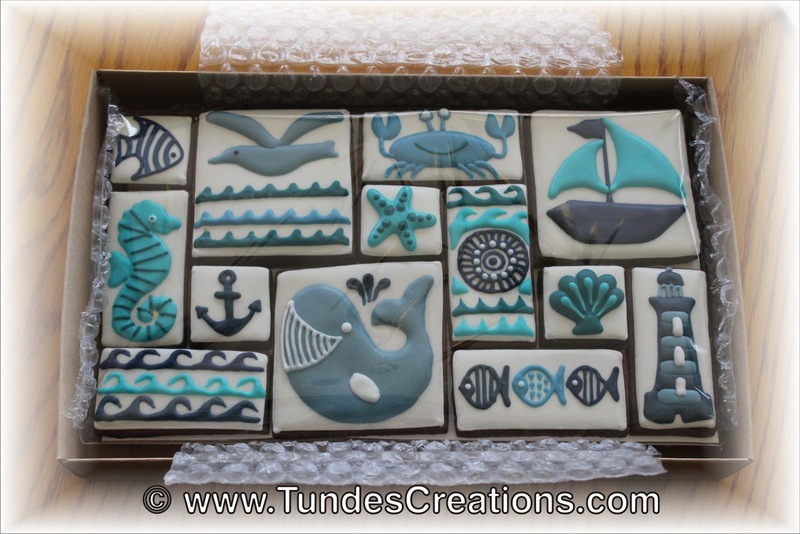 I put each puzzle with the cake board base in a cello bag and padded the box with bubble wrap so they can not move during shipping.